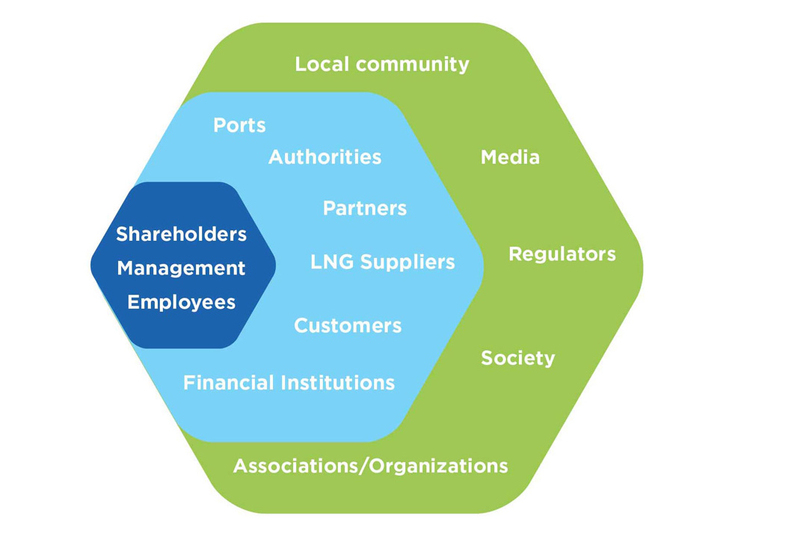 Being active in the shipping and energy industries, we have a vast variety of stakeholders who are affected by or can affect our business. Our stakeholders’ analysis has 3 interrelated levels of interest and influence. Internal, direct external and indirect external. We are committed in building solid relationships with all our key stakeholders with our business strategy taking into account and reflecting their needs.